The Roots are one of Philadelphia’s greatest collectives and now the group is slated to be inducted into the Philadelphia Music Walk of Fame. According to The Boombox, On October 26, the band from the City of Brotherly Love will be inducted alongside Billie Holiday, Ray Benson, glam band Cinderella, disco group The Tramps, Broadway performer Andrea McArdle and radio personality Harvey Holiday. After the ceremony, a gala will be held at Fillmore Philadelphia. The announcement of their induction comes in coordination with the Grammy award-winning group’s 8th annual Roots Picnic, which took place Saturday (May 30) in-front of a sold out audience at Festival Pier in Philadelphia. 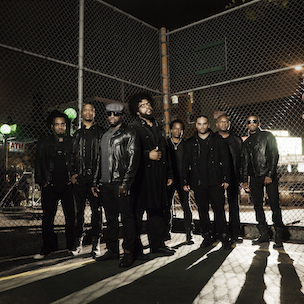 The Roots have released 11 studio albums beginning with Organix in 1993. They’ve also been the official band for Late Night with Jimmy Fallon from 2009 to 2014 and The Tonight Show Starring Jimmy Fallon since 2014. They released their most recent album …And Then You Shoot Your Cousin last year.